Maya Plant Use: Food or poison Phaseolus sp. (beans) were a staple in the ancient Maya diet. They were often grown with corn and squash known as the “three sisters” grown by indigenous American peoples. 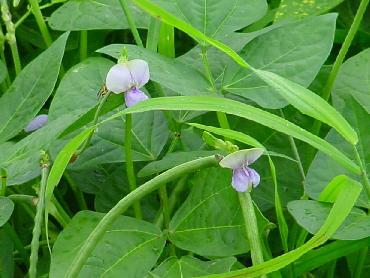 Various species of plants in the Leguminosae family were used as snuff or smoked as a substitute for marijuana as is the case for Canavalia maritima. Rhynchosia sp. and Sophora sp. are known hallucinogenic species in the Leguminosae family with cytosine a component of the later. Botanical Significance: P. lunatas is a wild form of the cultivated lima bean (Balick, et al. 2000). Notes: Papilionoideae (family) P. lunatas L. or P. spectabilis Standl.